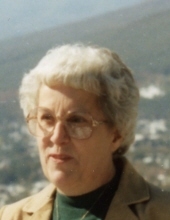 Juanita E. Beaulieu, 94, of Storrs, wife of the late Delphis J. Beaulieu passed away peacefully Thursday February 21, 2019 at Mansfield Center for Nursing and Rehab. She will finally be at peace and reunited with Del and her three children. She was the daughter of the late King J. and Lucy (Veivia) McTott. She was predeceased by three children, Evelyn, Lawrence and Gregory, and her brother, Bill . Born on October 25, 1924 in Willimantic, CT, she loved to cook and read religious books. She was very active in St. Mary’s Church in Willimantic and visiting the sick at Windham Hospital. She is survived by her three children, John Beaulieu and his wife, Cheryl; Richard Beaulieu and Tia Damato, Dianne Jones and her husband, Kevin, 12 grandchildren, 14 great grandchildren and 2 that predeceased her.Her sister in-law’s, Doris Bassett and Agnes McTott., and many nieces and nephews. To send flowers or a remembrance gift to the family of Juanita E, Beaulieu, please visit our Tribute Store. "Email Address" would like to share the life celebration of Juanita E, Beaulieu. Click on the "link" to go to share a favorite memory or leave a condolence message for the family.